Sirloin steak topped with onions, pico de gallo, peppers and cheese. Rolled in a chipotle tortilla and served with Spicy Chipotle Lime Salsa. Juicy burgers topped with American cheese, grilled onions and signature burger sauce on toasted mini buns. Spicy white queso dip with tortilla chips. A warm crock of creamy spinach, tender artichokes, and melted Asiago and Parmesan cheeses, with made-from-scratch spicy chipotle lime salsa and tortilla chips for dipping. Tossed‎ in your choice of sauce. No bones about it, these are great. Lightly breaded boneless chicken with your choice of sauce. Zesty grilled chicken stuffed in crispy wonton shells and topped with crunchy Asian slaw and cilantro. A platter to please everybuddy! Mozzarella Sticks, Spinach and Artichoke Dip, Cheese Quesadilla Grande (contains bacon) and favorite Boneless Wings. Tender, blackened steak served over penne tossed with fresh spinach, garlic, tomatoes and creamy Alfredo, then sprinkled with Parmesan. We start by grilling two 4 oz. sirloin steaks, flavored with blackened seasoning, garlic and thyme. 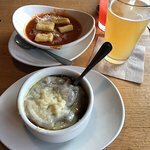 They’re served with a delicious mountain of garlic mashed potatoes and topped with red peppers, mushrooms and onions caramelized in the flames of bourbon whisky. Garlic‎ marinated 7 oz. sirloin, sautéed onions, and portobello mushroom cap with creamed spinach. 7 oz. grilled House Sirloin with sautéed Portobello mushrooms and onions in a Napa Valley Cabernet sauce with steamed herbed potatoes and garlic broccoli. A‎ neighborhood classic in its own right. Our classic steakhouse cut, savory to the last bite. Served with seasonal vegetables and your choice of garlic mashed potatoes or baked potato. A juicy, tender steak jazzed up with Cajun spices. Served with sautéed onions and mushrooms and fried red potatoes. Our 7 oz. sirloin grilled and topped with succulent shrimp in a light cream sauce. Served with herbed potatoes, seasonal vegetables, fresh bruschetta and sliced almonds. Succulent‎ grilled shrimp and rich Italian cheeses atop our juicy 9 oz. House Sirloin. Served with seasonal vegetables and your choice of garlic mashed potatoes or baked potato. Our‎ 7 oz. sirloin and chipotle lime shrimp with fried red potatoes, black bean corn salsa, sliced mushrooms, roasted red peppers, red onions and zesty chipotle cream sauce. 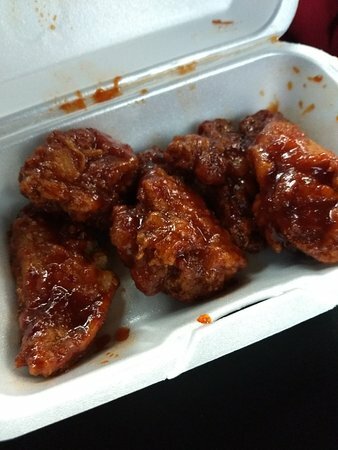 A‎ hearty portion of our world-famous Riblets basted with your choice of sauce. Served with fries and cole slaw. Mounds of blackened seasoned chicken, shrimp and Andouille sausage get all jazzed up with seasoned onions, red peppers, jambalaya (contains pork) and almond rice pilaf. Spicy chili sauce meets tender grilled chicken and colorful Asian vegetables in this skillet full of flavor. Served over rice with fresh cilantro and a squeeze of lime juice. Cajun-seasoned‎ chicken breast grilled and served on a sizzling skillet with blackened seasoned shrimp, garlic and thyme. Served with fried red potatoes and sautéed onions and mushrooms. It’s an explosion of Asian flavors with tender spiced shrimp and colorful mixed veggies bathed in a sauce that’s the perfect mixture of sweet and spicy. Served over rice and topped with fresh cilantro. Topped with blackened seasoning, bourbon caramelized onions and mushrooms, jack cheese, bleu cheese crumbles and applewood smoked bacon. Served on a toasted bakery bun with smoky mayo. Saddle up and head for the flavors of the Southwest. This burger is topped with Jack cheese, candied jalapeños, chipotle mayo and served on a toasted bun. Piled‎ with Jack cheese and slices of real Applewood smoked bacon. Served on a toasted bun with smoky chipotle spread, lettuce, tomato, onion and pickles. Head out west and grab this burger topped with crispy onion strings, melted white cheddar cheese, and applewood smoked bacon, served on a toasted bun with southern BBQ sauce, lettuce, tomato, onion, and pickles. Take your taste buds for a southwest joyride, a juicy burger with our signature mexi-ranch sauce with pico de gallo and shredded lettuce, served in a mouth-watering pepper jack and cheddar quesadilla (contains bacon). Cheddar cheese and crispy Applewood smoked bacon crown our thick ‘n hearty burger on a toasted bakery bun. Served with lettuce, tomato, onion and pickles. Shaved ribeye steak seasoned and sautéed ‘Philly-style’ with grilled onions then topped with a rich cheese sauce. Served on a toasted hoagie roll. This hot roast beef sandwich has grilled red onions, Applewood smoked bacon and sautéed red wine mushrooms. It's all served on thick sliced bread with melted Swiss cheese. Smoky chipotle chicken rolled in a flour tortilla with melted Monterey Jack and cheddar cheeses, shredded lettuce and pico de gallo. Served with Mexi-ranch dipping sauce. Piled high with Virginia ham, shaved turkey, melted cheddar and Jack cheeses with Applewood smoked bacon, lettuce, tomato, mayo and a drizzle of our signature honey BBQ. Served on our toasted bakery bread. Chopped lettuce tossed with black bean corn salsa, roasted red peppers and onions, tortilla strips, white cheddar and spicy jalapeño dressing, mounded nicely with chimichurri glazed grilled chicken. A grilled chicken breast on crisp romaine tossed with champagne vinaigrette. Finished with Kalamata olives, roasted red peppers, bruschetta, red onions, Asiago cheese, golden fried mozzarella scoops and balsamic glaze. Spinach leaves tossed in our strawberry vinaigrette. Layered with juicy blueberries, sliced strawberries, grilled chicken breast, bleu cheese crumbles and honey-glazed pecans. Tender spinach, crisp bacon, roasted red peppers, red onions, toasted almonds and hot bacon vinaigrette topped with grilled shrimp. Juicy grilled chicken breast over crisp romaine lettuce tossed in our garlic Caesar dressing. Topped with challah croutons and Parmesan cheese. Fresh Asian greens tossed in a tasty Oriental vinaigrette and topped with crispy noodles, toasted almonds and golden fried chicken tenders. A hearty portion of grilled chipotle lime shrimp and black bean corn salsa tossed with lime juice and chopped cilantro, served on a mix of grilled zucchini, marinated tomatoes, onions and red peppers with steamed white rice. Our juicy grilled chicken breast with creamy au gratin Parmesan sauce. Served with steamed spinach and mushroom rice pilaf. Garlic marinated 7 oz. sirloin and sautéed onions are served with herbed potatoes and a grilled portobello mushroom cap filled with creamed spinach topped with Parmesan cheese. Chopped cilantro, served on a mix of grilled zucchini, marinated tomatoes, onions and red peppers with steamed white rice. Sautéed onions and peppers and sprinkled with parmesan. Crisp Romaine Lettuce Tossed in Our Garlic Caesar Dressing, with Shaved Parmesan Cheese. Add Some Rich Sour Cream, Melted Cheddar and Bacon Bits. A magnificently moist chocolate cake topped with both dark and white chocolate. Its fudge-filled center will erupt upon first bite! Served with vanilla ice cream and hot fudge. Baked with nuts, topped with both ice cream and glazed pecans, and served sizzling at your table where it’s covered with a rich, maple butter sauce. A sundae we built for the whole table! We take a huge, warm chocolate chunk cookie, top it with vanilla ice cream, hot fudge, OREO® cookie pieces and whipped cream. Classic cheesecake, graham cracker crumbs, strawberry sauce and whipped cream make this one to savor. Decadent Oreo® cookie pieces, chocolate mousse and whipped cream make this a rich and creamy treat. Delicious hot fudge drizzled over vanilla ice cream, topped with whipped cream and a maraschino cherry. Every day should be sundae. Yummy‎ vanilla ice cream with tons of Oreo cookies blended in. It's like having ice cream and cookies at the same time! Vanilla ice cream sundae topped with hot fudge, whipped cream, and Oreos. Don't you wish Mom made this at home? La cena con la familia, un lugar excelente para todas las edades. 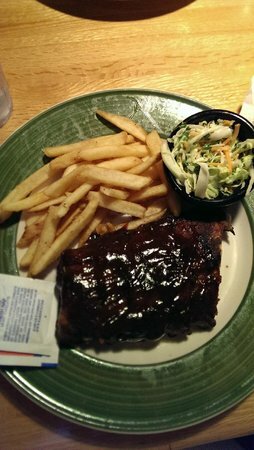 Mi almuerzo aquí era típico de cualquier gran restaurante de cadena y otros Applebee's. 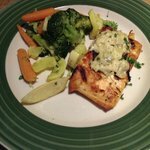 La comida era la misma que otros Applebee's y el servicio fue mediocre. Muchas otras empresas locales que prefiere apoyar sin embargo, es conveniente tener una ubicación en Wenatchee. 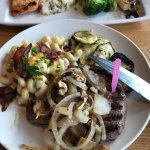 Cada vez que viajo a Wenatchee paramos y tener una cena en Applebee's, hemos recibido un servicio de cada vez, y la comida ha sido genial. El mejor lugar para comer por su dinero. Un favorito de confianza, no me decepcionó. Sin pasarse con alto precio para cenar mi esposa y yo disfrutamos el servicio, la comida y el servicio de este lugar. Precio justo y se sirve caliente. Empleados agradable y el gerente andando a las mesas para gran los clientes. . . Agradable. Este es un buen lugar para llevar a la familia. 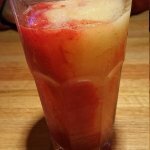 La variedad de comida y bebidas es excelente y el personal es amable y servicial. 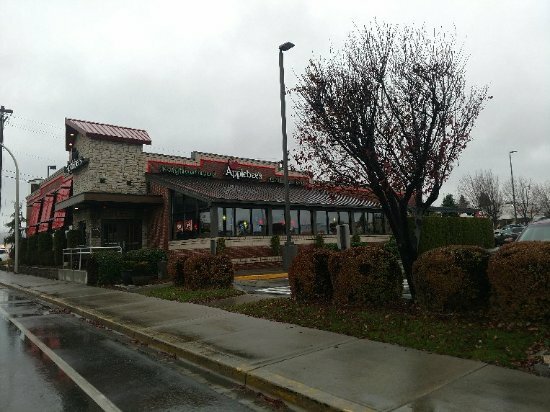 Obtené respuestas rápidas del personal y los visitantes anteriores de Applebee's.